Does anyone want me to test and verify anything else while I'm at it..? Holy crap - this thread is on its 9th page....! Last edited by lars; 12-30-2016 at 07:50 PM. You should have admitted you had it wrong way back in the beginning of this thread. I was sure I had it right, too, with the 2:1 ratio. I simply forgot to consider that it's only the opening point that counts, and not the closing point, which is what gives you the 1:1 ratio rather than 2:1. In fact, the FAA even has it wrong in its A&P Powerplant Training Advisory Circular, stating that a 1-degree change in dwell will change timing by 2 degrees. Additionally, I just dug up my notes from Airframe & Powerplant school where it states that, "dwell is the number of degrees of crankshaft travel that the points remain closed." As we know, this is also flat wrong: Dwell is the number of degrees of camshaft travel that the points remain closed. Since camshaft rotation = distributor rotation, dwell is also the number of degrees of distributor rotation that the points remain closed. Last edited by lars; 12-30-2016 at 07:58 PM. Not necessarily. It just depends. 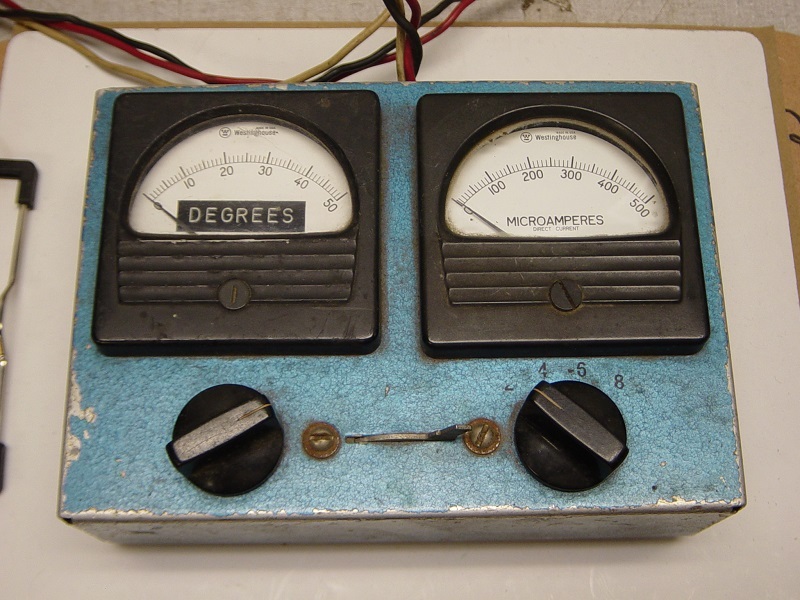 Are A&P meters the same, or different than automotive meters? Dwell can be measured in distributor/cam degrees or crank degrees. The dwell duty cycle (67%) is exactly the same (30*/45* distributor = 60*/90* crankshaft). Nothing magical about it as long as the meter display is labeled/scaled right (distributor or crank degrees). The actual electronics inside the meter doesn't know the difference. Or care. Lars, I think someone earlier in this thread stated that changing the point GAP would also change timing. It might be a nice piece of trivia to know the relation of GAP to dwell & timing expressed in .001"(s). So, can we sum this up in 1-2 6th grader sentences that folks can quote 5 years from now when it comes up again ? "A 1 degree increase/decrease in dwell changes timing X number of degrees; retarded/advanced"
I also think point gap is very subjective (any feeler gauge work pretty much)...what I think is accurate (e.g. a knife through a warm stick of butter) may be too loose/tight in others' estimation. It would be nice to close this out in 2016. I want to enter the new year with full knowledge of something I would NEVER do -- fine adjust the timing with dwell. Last edited by Frankie the Fink; 12-31-2016 at 07:18 AM. Can't believe I'm sucked into another response - but I fall in this same crowd. I guess I just don't have a good enough feel for it but I've never had much luck setting points with a feeler gage - the dwell never comes out close. I do just as well (if not better) setting the gap by eyeball but I always have to wiggle it in with minor adjustment to get it within dwell specs. Sure wish Ford and Chrysler had a nifty deal like the GM allen screw adjustment points set. I use a go/no-go method when in doubt...after adjusting something like solid lifter lash to what I think is right for the prescribed feeler gauge (e.g. .018") I try the next size up and if it does NOT go - its good enough. BTW try to find a dwell meter at your FLAPS. I had to go to about 5 boutique auto stores to finally find one that is part of a multi-function digital array of tools: multimeter, etc..
Never used a match book cover to gap points, but did (and still do) use match book covers to deactivate one set of points at a time in a dual point distributor to set dwell on each set individually. Never smoked but my wife collected matches from various restaurants and places as mementos for years so I have a good supply. Always felt I could eyeball a points gap close enough to get me home to my garage and dwell meter. 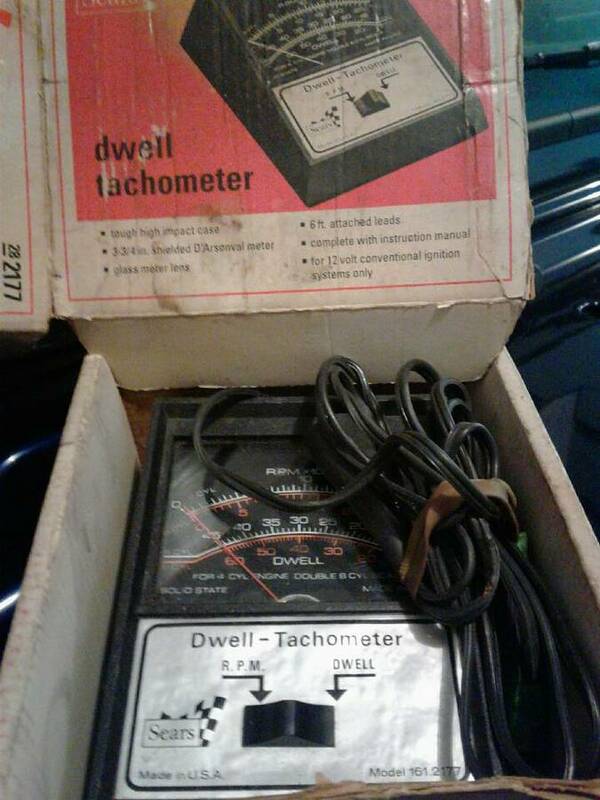 I knew a lot of racers in the '50's-'60's that used dual points but none of them even owned a dwell meter. For some reason, we just seemed to muddle through the points setting process without all that high tech equipment! I didn't own one until about 15 years ago when I bought one off Ebay. You can buy them all day long on Ebay and Craig's List for $10-$15. Probably a very valid observation but in the end I'm not sure how much it matters as the only dwell setting that matters is the overall dwell setting with both points operating. If it's in - good. If not go back and adjust again until it is with both points operating. It's all trial and error when using a dwell meter anyway. Setting them with a feeler gage is probably less problematic - you really don't know what you have except the points open and close, you think you have the gap set properly and the car runs - unless you put a dwell meter on it and find out otherwise. My 2 cents. The opinions expressed are not the opinon of the forum or any other rational thinking person. I bought my first DWELL meter just after my first tuneup on my 1965 BB MOPAR with dual points. I figured the on-going pain was not worth the $15 or so the meter cost me back then. First one came from JC Whitney............and that is a story all unto itself. 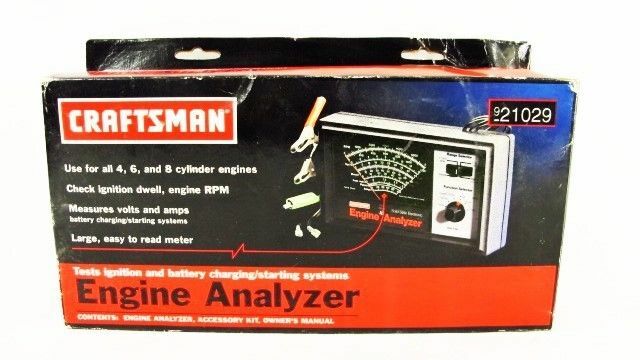 Second one was a Sears Penske Auto Analyzer that I still have and use to this day. Only could afford to buy this after college graduation and getting my first engineering job. Last edited by Powershift; 12-31-2016 at 11:13 AM. My original dwell meter that I bought about 1968/69 to set dual points in my Mopar finally bit the dust about 3 years ago. Fortunately I had found a new one about 15 years ago at a tool sale and bought it just to have a spare. Guess I need to start looking for another spare now. Last edited by PAmotorman; 12-31-2016 at 12:09 PM. You can make minor timing adjustments using the dwell adjustment screw. 1 degree change in dwell changes timing 1 degree. Turning the screw IN (clockwise) INCREASES dwell and DECREASES timing. Turning the screw OUT (counter-clockwise) DECREASES dwell and INCREASES timing. Turning the screw 1/8 turn changes dwell and timing by about 3 degrees. .019" point gap = about 31 degrees dwell. Increasing point gap decreases dwell and increases timing, and vice-versa. A 2 degree change in dwell changes point gap by .003", so every .0015" change in gap changes dwell and timing by 1 degree. Last edited by lars; 12-31-2016 at 12:16 PM. You gentlemen have made some very valid points about the gapping of points....I have always been able to set them with a feeler gauge....the secret is all in the 'feel'. Same sith setting valves, checking piston/wall clearance, or anything else. You want a very, very slight drag, but not tight, and not zero drag. As Frank said, a go-no-go gauge is pretty fool proof if you tend to be heavy handed. 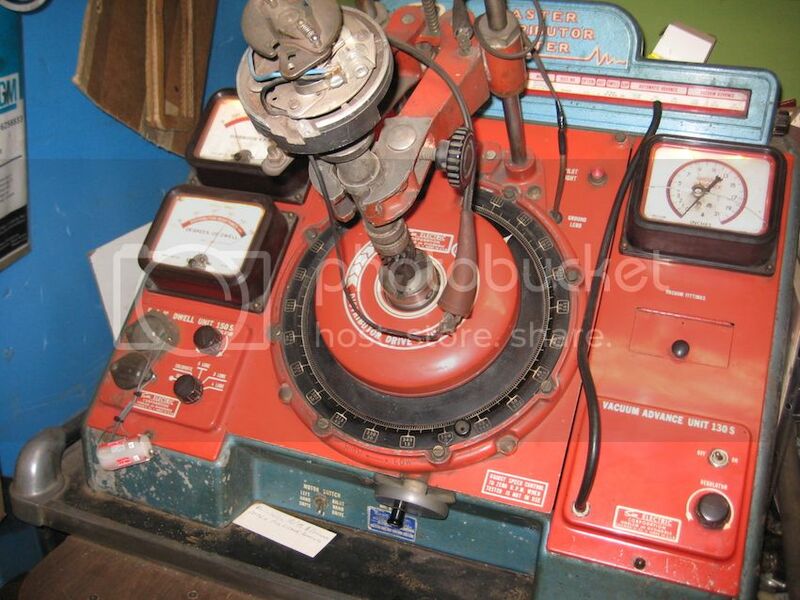 I tuned a lot of dual points cars in the past, many of them European, and did one set at a time with a dwellmeter. Some cars, I removed the distributor and set them on bench with a feeler gauge, because the distributor was in a terribly awkward location to try to adjust the dwell with a meter (Fiats in particular!) A LOT of working on machinery is all in the touch and feel...some guys never use torque wrenches and never strip out a fastener or have an issue, and some guys use all the torque wrenches and calipers and gauges and still can't feel when they're about to snap off a bolt, and snap it clean off, over and over again. In the field, 35 years ago, I set all Ford and sliding points that were similar by eye. I was usually dead on, but I was doing 8-14 cars a day all week long. After awhile it's possible to see what .016" looks like compared to .020".....really. A 1 degree change in dwell changes timing 1 degree. Last edited by Frankie the Fink; 12-31-2016 at 12:15 PM. I was scanning C'L while ago and found a Sears dwell meter. I called the guy and told him I'd take it. $15. 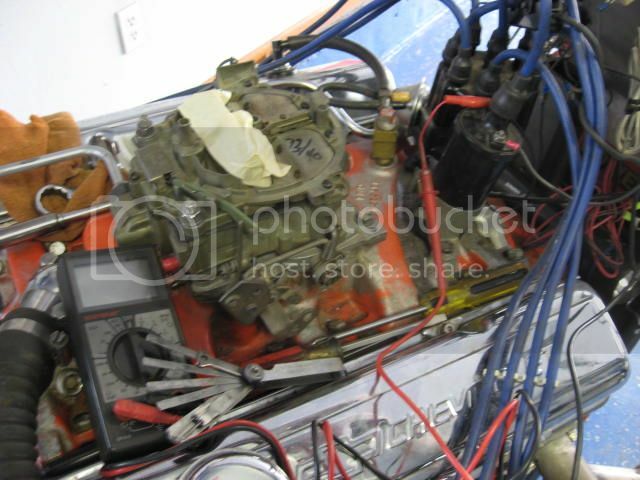 Then he told me he had a Sears Engine Analyzer. Sell both for $35. I don't need it. Just something to have. It's great to be in the bucks where I can now afford this high tech stuff! Thanks, Lars, for breaking all this down to the basics so that everybody can understand and apply this knowledge. I know that most of us on the forum value your input quite a bit, myself included. Happy New Year to you and the entire Corvette Forum! OK, ventured out to the sub-freezing shop and fired up the Sun machine. Slowly adjusted the dwell to 32º. Pointer indicated 2º advance (EDIT wrong, retard is correct)---which I believe you double to get crankshaft degrees. Hey guys, my screw up. When going from 28º to 32º the strobe pointer moved to the left of the zero---which is retard. Again my bad. I'll take the D- on the report. These guys should take a bow as well.